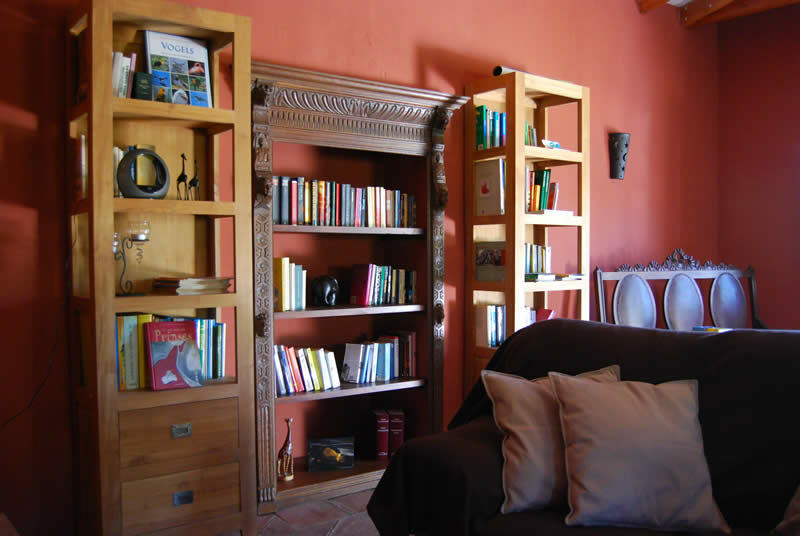 For the cooler days there is inside a dining area, seating area and a small library provided with a wide range of children's books, children's books, books for adults and several tourist books about the area. In the lounge you can read a book or further evaluation while enjoying a drink in the last day. You can here make free use of our wifi. Our guest lounge features a Nespresso coffee machine and a kettle for a cup of tea. You will find also a case with board games.